Syrian army forces, backed by Iranian-backed militias, push deeper into rebel-held enclave near Israel and Lebanon border. Syrian army forces, backed by Iranian-backed militias, pushed deeper into the last rebel-held enclave near a strategic border area with Israel and Lebanon on Sunday night, Reuters reported, citing rebels. The army and the Shiite forces advanced east and south of the Sunni-rebel held bastion of Beit Jin backed by some of the heaviest aerial bombing and heavy artillery shelling since a major assault began over two months ago to seize the area, the rebels said. The Syrian army said it had encircled the village of Mughr al Meer at the foothills of Mount Hermon as troops moved toward Beit Jin amid fierce clashes. The enclave is the last rebel bastion left in the south west of Damascus known as the Western Ghouta, that had since last year fallen under government control after months of heavy bombing on civilian areas and years of siege tactics that forced rebels to surrender. A western intelligence source confirmed rebel reports that Iranian-backed militias including the Hezbollah terrorist group were playing a major role in the ongoing battles. “The Iranian backed militias are trying to consolidate their sphere of influence all the way from southwest of Damascus to the Israeli border,” said Suhaib al Ruhail, an official from the Liwa al Furqan rebel group that operates in the area, according to Reuters. 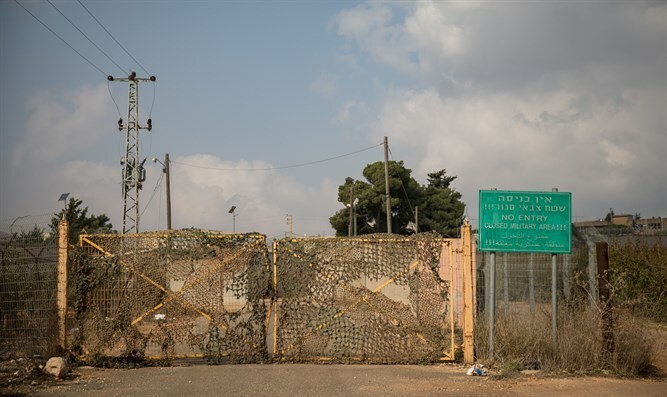 A recent ceasefire agreement between the U.S., Russia, and Jordan left Iranian-backed militias just three miles from the Israeli border. Worried by Iran’s expanding influence in Syria after the defeat of Islamic State, Israel has allegedly carried out strikes against suspected Iranian targets inside Syria in recent weeks. Iran has never hid the fact that it is a strong supporter of Syrian President Bashar Al-Assad and has been providing him with both financial aid and military advisors against a range of opposing forces. A report last month said Iran is establishing a permanent military base outside El-Kiswah, located 14 kilometers (8 miles) south of Damascus. An airstrike earlier this month attributed to Israel reportedly hit an Iranian compound in that area.